Looking for a hard surface tire? If so, then you're going to want to look at the Carlisle All Trail Tire. This tire has a low and wide profile with a sturdy 4 ply carcass, reducing soft, wallowing chassis roll commonly experienced with other tires. The unique and tight tread pattern offers up a super smooth ride and will provide minimal impact with on your riding surface, making it an excellent choice for golf courses also. With this tire, you'll experience responsive, predictable handling on pavement, concrete and hardpacked soil. 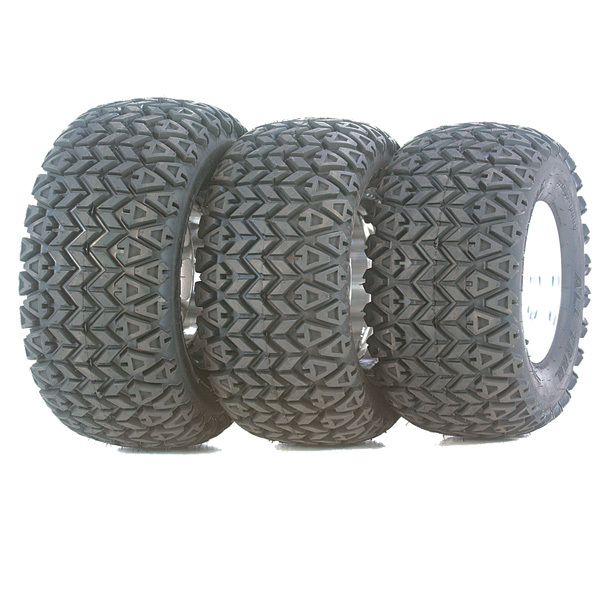 This tire is a favorite for UTVs and golf carts alike.